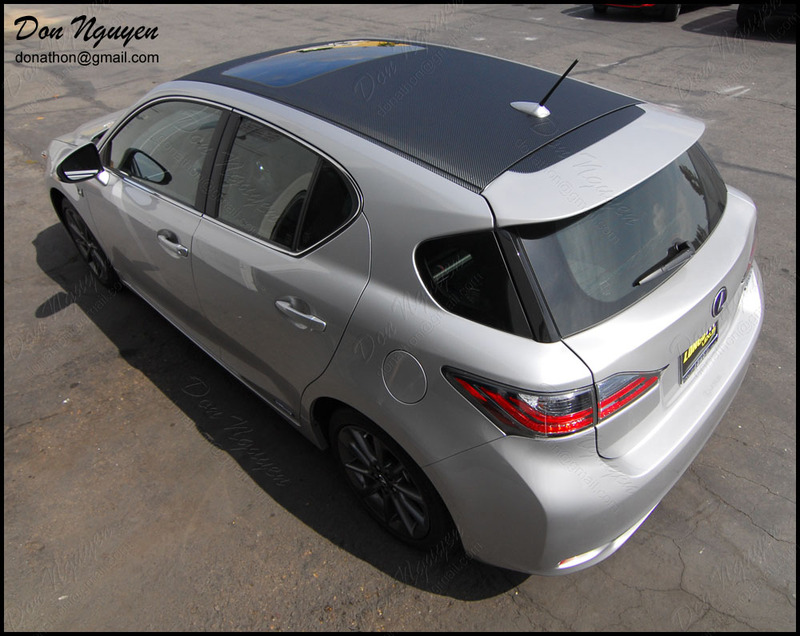 I had a new silver Lexus CT200h come by to have me vinyl wrap his roof with the 3M di-noc matte carbon fiber material. 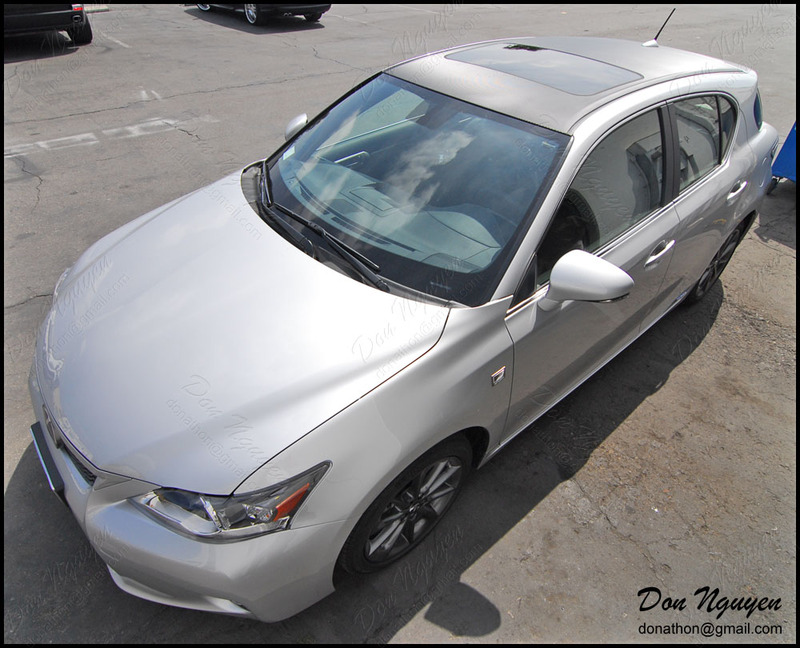 The owner of this car was also from Irvine / Orange County. Took some close up pictures around the antenna area and side rails, just to show you the extent of the vinyl coverage and it looks up close. 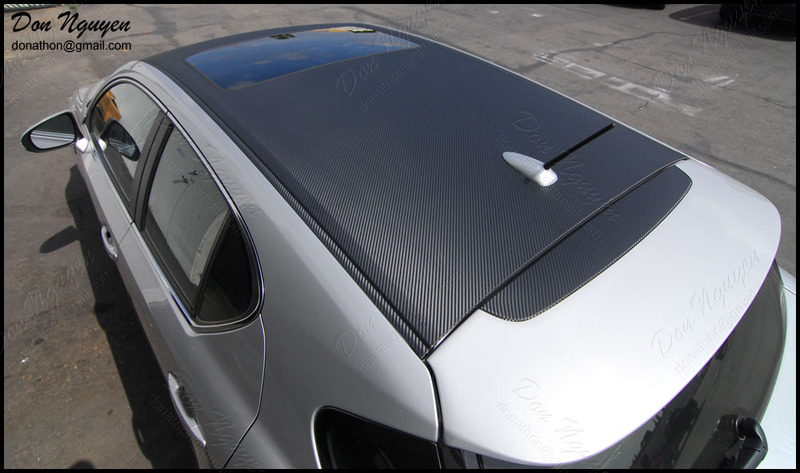 I think the roof accented the silver color of the car fairly well, especially since this carbon fiber finish has somewhat of a silver/gray tone to it, even though it is the black carbon fiber finish. 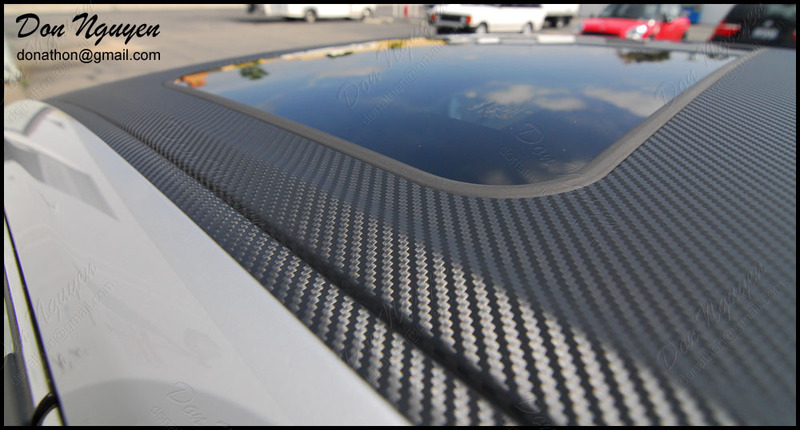 The owner of this car also wants me to wrap his hood with the 3M dinoc carbon fiber material and tint his tails as well, so once I do those, I'll post some more pictures.